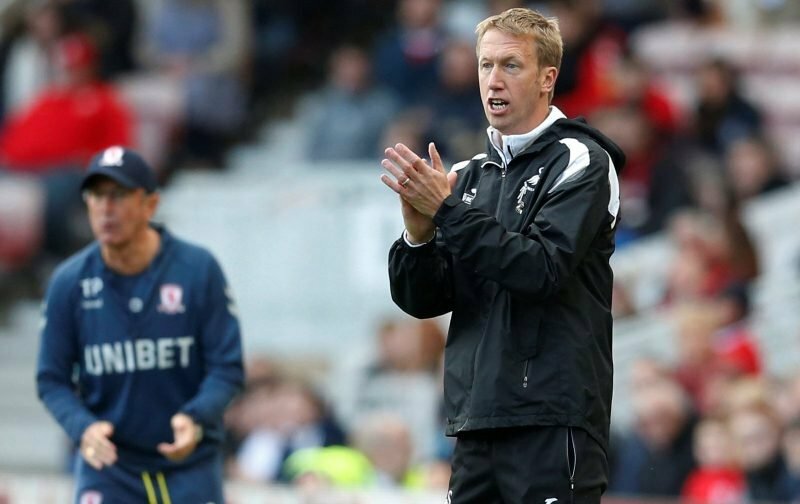 Graham Potter has usually been a manager to focus on his side’s positives from their performances this season but after picking up a point at high-flying Middlesbrough, the Swansea City boss recognised the need for his side to improve “certain aspects” as they’ve now won just 1 in the last 5 so they’ll be in a hurry to improve that form. After Leeds’ first defeat of the season against Garry Monk’s Birmingham City – which was their win of the campaign, Middlesbrough’s point against us today was enough to see them go joint top of the table on 18 points. We dropped down from 12th to 14th. 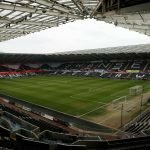 In those last five games, the Swans have failed to score in four of them, so it’s not difficult to understand what aspects of our game we need to improve in. Defensively, we’re sound. We’ve kept 4 clean sheets in 9 games so there are no issues there, but at the moment we’re relying on clean sheets to pick up points. TABLE: It’s getting tight at the top… ???? It’s quite obvious too that we’re missing both Bersant Celina and Leroy Fer to add some attacking creativity in the middle but we’re also lacking alternative options up front. McBurnie is our only natural striker and we’re looking to the likes of Dyer, Routledge and Asoro as alternative options up top when we really need a second striker to give us something different. Definitely had a hard time getting into the final third. Lacking a playmaker or midfielder that can get/pass opp midfield. Front three were left alone quite a bit. Creativity. Naughton in midfield has worked well, but we need Celina and Montero back. Sharper passing in final third. Wingers & AM closer to OMcB. Saw the first half but not the second. From what I saw, we have the possession but not the potent threat such as speed going forward. Naughton is a revelation in midfield. I’ve always believed in playing a wide game to stretch. We don’t have that threat without Montero. Creativity/scoring goals. We did well moving the ball around, but we look scared to cross or shoot. Celina would’ve changed that game for us today. There are still plenty of positives to be happy without. It’s always good to see a solid defence to work from and we are missing the impact that Jefferson Montero can make from the bench. Celina can add a lot when he returns as well as Leroy Fer but there appears to be some problems in wide areas. Potter doesn’t appear to have exactly what he wants from new signings McKay and Asoro as they’re constantly in and out of the team while Dyer and Routledge offer other qualities. “They have good quality players and a good manager, so you know it’s going to be a difficult game. “I thought we did well for the first 20 or 25 minutes. Then they changed their shape a bit and the manner of their play means they are going to get the ball into your box from not too much. “That gets the crowd going and that makes it a test of character. “But I thought we dealt with that really well. The second half was pretty even and we are pleased with a point. “The way we fought and how we defended was pleasing, but I still think we can play better. Potter also spoke about the room for improvement but his side appears to be coping with the physical side of the game better and better with every game. “The challenge now is to improve aspects of our performance on the back of the real and attitude and spirit we are showing. “Middlesbrough are a good team they make it very difficult for you. I think we can learn a lot from this game and grow from this game. Right on with everything from everyone really. Celina and Montero make a world of difference. I was a little worried about the defence after the Leeds game way back when, but that group’s been wonderful. Grimes and Naughton in the DM positions have been outstanding. Still a little frustrated after Tuesday. Clear offside.